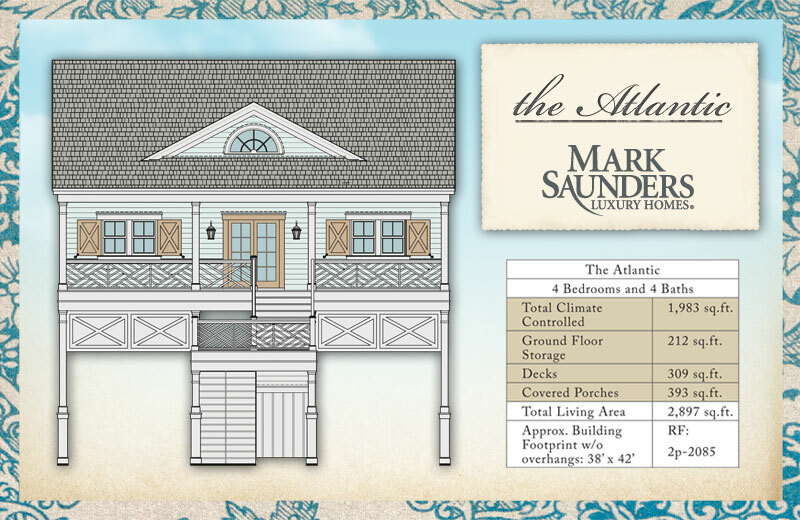 The Atlantic is a classic two-story Coastal Carolina Island Home. Designed to provide the grandest views from the back side of the home, it’s ideal for an ocean, marsh, waterway or canal homesite. 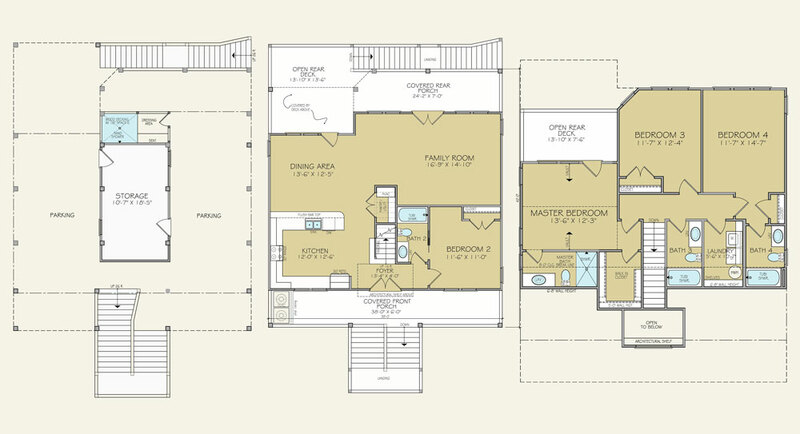 Ample parking, covered porches and open decks create an inviting setting for family and friends, while the open floor plan provides expansive, gorgeous views from every angle and floor.